Nano Dimension Ltd, a leading additive electronics provider, announced its breakthrough multi-material 3D printing inks have been awarded the IDTechEx Award for Technical Development Materials. The award was presented by Raghu Das, CEO of IDTechEx, at the annual IDTechEx Show! Europe awards ceremony. The prestigious honor marks the third award for Nano Dimension since launching the DragonFly 2020 Pro 3D printer on September 13, 2017. The previous awards include the productronica Innovation Award 2017 and Circuits Assembly and Printed Circuit Design and Fab magazines New Product Introduction Awards for ink jet printers. 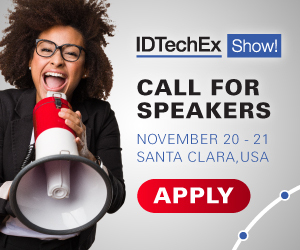 IDTechEx, based in the United Kingdom, is a leading provider of independent market research, business intelligence and events on emerging technology. The IDTechEx Show! Europe is being held in Berlin on April 11th and 12th. Nano Dimension is exhibiting at the event in booth #B03 with reseller Phytec. "We've designed our inks to break existing technology barriers for functional multi-material 3D printing," said Amit Dror, CEO of Nano Dimension. "We combine 3D printing with printed electronics, so designers and engineers are now able to print fully functional free-form electronics that were previously unimaginable." Nano Dimension's conductive and dielectric inks solve major challenges that have prevented the widespread adoption of 3D printed electronics. Nano Dimension's inks make it possible to additively manufacture electrically functional parts, circuits and antennas by multi-material high resolution jetting to create both standard and truly revolutionary functional parts. As one of the IDTechEx Awards judges noted, "It is clear that the development of Nano Dimension's materials was a key enabler for creating their multi-material 3D printing for electronics. Truly groundbreaking." The DragonFly 2020 Pro is Nano Dimension's flagship 3D printer and is transforming additive manufacturing for electronics by empowering companies to take control of their entire development cycle. The system enables virtually limitless design flexibility for a wide range of research and development, prototyping and custom manufacturing projects. Since 1999 IDTechEx has provided independent market research, business intelligence and events on emerging technology to clients in over 80 countries. They provide clients with insights to help make strategic business decisions and grow their organisations. IDTechEx is headquartered in Cambridge, UK with additional offices in USA, Germany and Japan and associates in South Korea. To read more, click here. Nano Dimension is a leading additive electronics provider that is disrupting, reshaping, and defining the future of how cognitive connected products are made. With its unique 3D printing technologies, Nano Dimension is targeting the growing demand for electronic devices that require increasingly sophisticated features. Demand for circuitry, including PCBs - which are the heart of every electronic device - covers a diverse range of industries, including consumer electronics, medical devices, defense, aerospace, automotive, IoT and telecom. These sectors can all benefit greatly from Nano Dimension's products and services for rapid prototyping and short-run manufacturing. For more information, please visit www.nano-di.com .